321 Davenport - Register today for Platinum VIP Access! 321 Davenport Road Condos is a new condominium development coming soon to the Annex neighourhood of Toronto, Ontario located on Davenport Road near Bedford Road by the Alterra Group of Companies. This project consists of a nine-storey proposed luxury residential condominium development designed by Giannone Petricone Associates. 321 Davenport is located in the Annex neighbourhood which is a vibrant area and is considered "Toronto's most heterogeneous community". Residents here include business people, faculty and students from the University of Toronto as well as prominent artists. This proposed development is also located near the prestigous Yorkville neighbourhood where you can find many four star hotels, theatres, gourmet restaurants and boutique shops with brands such as Louis Vuitton, Chanel, Hermes, Burberry, Gucci, Harry Rosen, Michael Kors, Tiffany & Co. and many more. 321 Davenport Condos has a walk score of 95 out of 100 which means you can do most of your daily errands without the need of a car. It also has a transit score of 97 out of 100 which means there is accessible public transportation and the Dupont Subway Station is within walking distance from the site. Finally, the 321 Davenport Condominiums has a bike score of 100 out of 100 which means the road is flat and smooth with excellent bike lanes. 321 Davenport is located close to Casa Loma which has been used for many wedding receptions and is situated just north Bloor Street where you can find the Bata Shoe Museum, the University of Toronto St. George Campus, Queen's Park, the Royal Ontario Museum, the Varsity Centre and St. Michael's College. Also located a short drive away are hospitals such as the Hospital for Sick Children, the Toronto General Hospital and Mt. Sinai Hospital. The Kensington Market and Chinatown are also situated approximately 3 to 4 kilometres away from this new proposed development site. 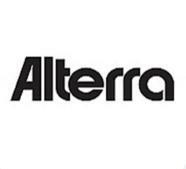 Register with us today for your Platinum VIP Access to the 321 Davenport Condos by Alterra!